ESC for a LiPo pack? 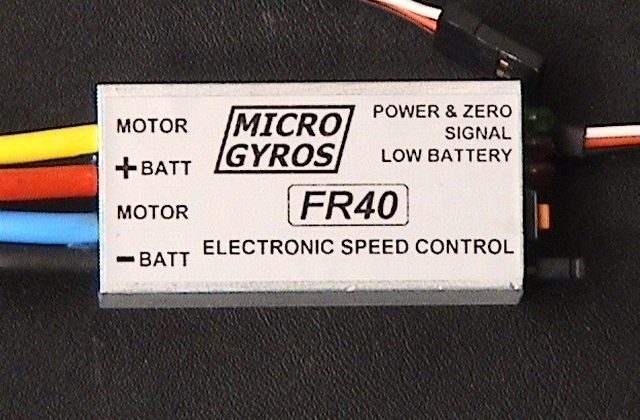 I've had a look round at LiPo friendly esc's, and now I'm totally and utterly confused. Do I really need a programmable esc? What the hell is a programmable esc anyway? All I really want is an esc to run off my LiPo battery pack (3S, 11.1v, 5000a/h...you know the one), to be able to handle a 545 brushed low drain motor, and to cut the power off when the battery pack voltage drops to save the battery from damage. Is there such a thing that I can just plug it in, turn it on, and go sailing without all the technical stuff? Re: ESC for a LiPo pack? Well you can go that route, Richard. But I don't think there is yet a really satisfactory esc for lipos yet. The problem is that they all seem to indicate low voltage by a reduction in speed. Would you notice that ?? (Weed patch, radio gremlin etc.) It is much clearer for electric r/c aircraft! I just use a simple total voltage sensor which triggers an audible alarm - which I may notice when I bring the sub close. This is not a perfect system either. Flashing light? - awkward to connect up. So maybe just use a standard esc (probably much cheaper) and don't run your sub for too long. I'm sure that this answer will not satisfy the theoreticians - but it works! I've plenty of Mtroniks esc's, so maybe I'll use one of those. With 5000a/h and a low drain 545 motor, I guess I'll get plenty of run time? Several hours I would think, Richard. 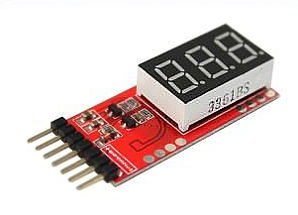 You can also buy some neat little lipo voltage monitors which plug into the balancing (i.e charging) socket. Green leds change to red leds to give you a visual indication through the WTC. So with a large capacity lipo and being conservative on run times you should be OK with standard ESCs. 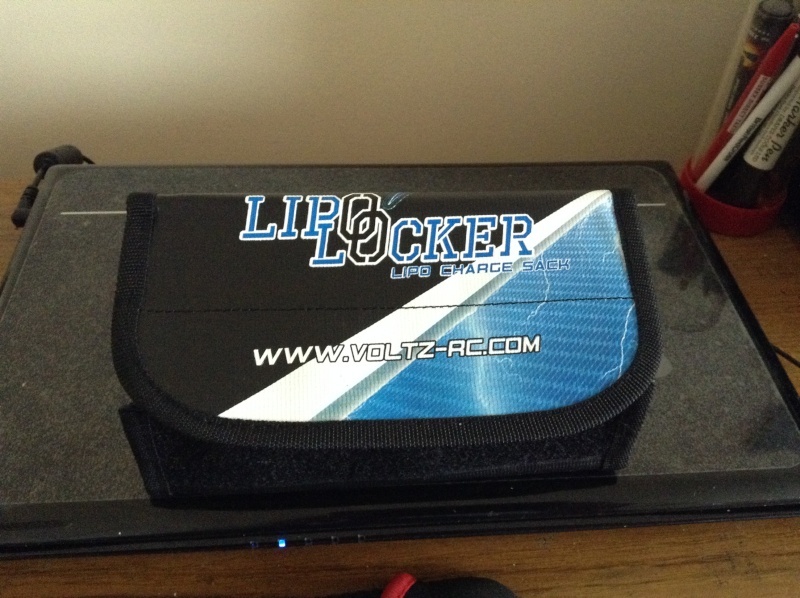 The LiPo charge bag arrived this morning, and I only ordered it yesterday! Cracking piece of kit it is too, well pleased with it. Is this the sort of voltage monitor you mean, David? That tooks like a nice one. Mine is simpler just red and green LEDs for each cell. Presumably the display gives the total voltage which isn't all that useful, because you will find that cells discharge at different rates and what is useful to know is when the first cell goes "red". But if that unit gives individual cell indications and a total voltage that should do nicely. And yes why not save the flexible friend. ESCs for Lipos seem to be expensive and are still far from perfect for submarines, in my opinion. PS Just been having a look at the unit you gave the link for. You can get individual cell voltages but it mentions a push button. You may not want to undo loads of bolts to push a tiny button?! I've just ordered one, so we'll soon see what they are like, David...at a penny shy of £4.00 it'll hardly cause my flexible friend to break out into a sweat. If it's ok, I can mount it under the access hatch on the box lid so I can see it. You can also find audible plugin battery monitors.